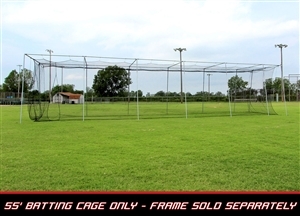 This is the Cimarron 55' L x 14' W x 12' H #24 Twisted Poly Batting Cage Net - a great choice for a backyard batting cage that won't break the budget. 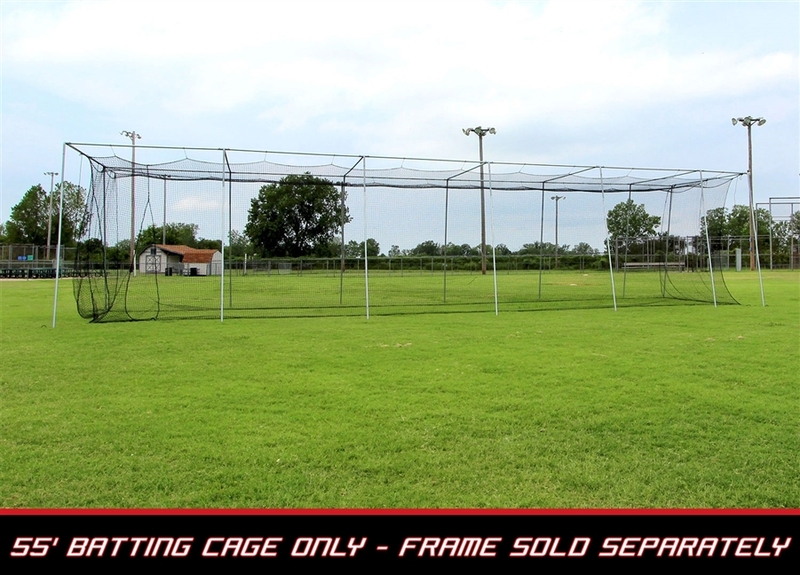 The Cimarron #24 Batting Cage Nets are constructed of twisted knotted twine which makes them very strong. Each fiber is treated with TWO chemicals to protect the premium polymer blend (polyethylene) against the sun and enables the netting to retain its strength for a longer period of time. Enjoy quality construction and top of the line features at a reasonable price.